Hi there! It's Friday! What's up for the weekend? The last few weeks and weekends have been full of work, lunches, dinners, appointments, and errands, so this weekend the plan is to just play it by ear! Have a great weekend and enjoy the links! The ONE romper that I've found this summer that fits me right - for $22! This girl is just good... Such a pretty space. 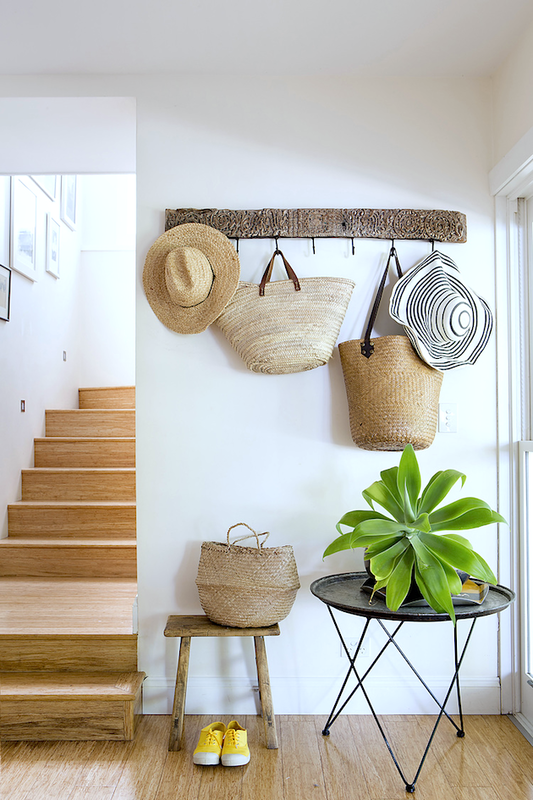 Love that piece of wood that holds the hooks in the summer entry!! The hanger with all those woven object is marvellous!